Local charity Surviving Christmas has just launched permanent donation bins in Morrisons supermarket in Queens Road. The charity, now in its thirtieth year, is extending its support year round with donation bins permanently in store at the Queens Road superstore. The scheme started on 25th February 2014; all non-perishable food items are very welcome. Items donated will be distributed to local projects supporting those most in need. Ann Andrews, Chair of Surviving Christmas said, “We are thrilled that customers at Morrisons requested a donation bin in store and hope to share donations with a range of small projects”. 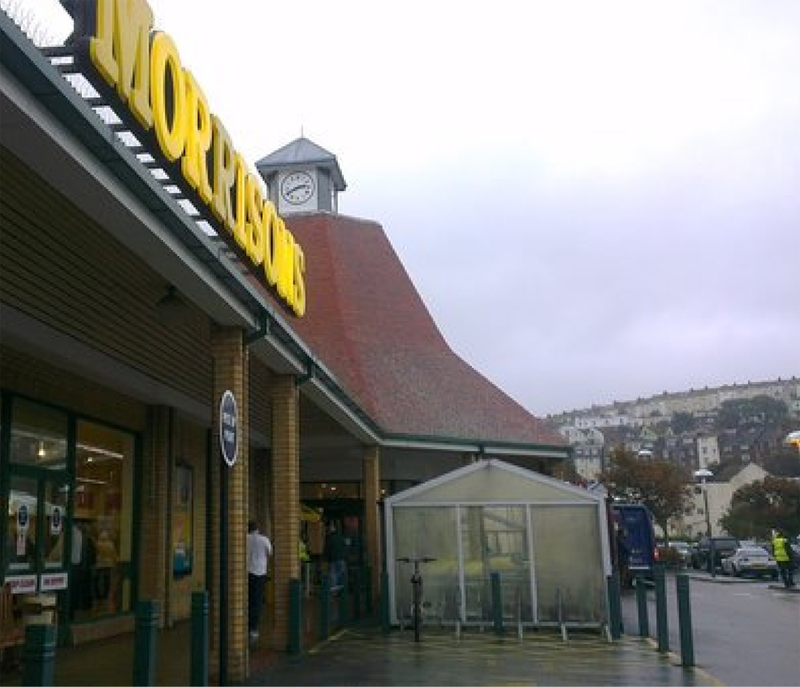 Claire Hannaford, Community Champion at Morrisons says, “The response from our customers last year was terrific and when asked we were only too happy to help. We know our customers who donate to this charity will also be helping other local projects in the area”. A list of items to be donated is advertised in store. ANN ANDREWS admin@survivingchristmas.co.uk Tel: 07725 184290. ABOUT SURVIVING CHRISTMAS Surviving Christmas was started in 1985. It is a local charity supporting vulnerable people and families in the Hastings and Bexhill area at Christmas. In addition to financial donations, non-perishable food, men’s clothing, toiletries and small gifts are needed at Christmas. Volunteers are required at Christmas and to help fund-raise during the year. Would transport be available, from Bexhill to Bohemia, for surviving Xmas 2014. Or there may be overnight temporary accommodation. Thanking you. I am a senior citizen.